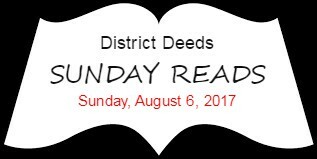 District Deeds SUNDAY READS – Sunday, August 6, 2017: Gifted Kids At Risk, Guerrilla Educators, and Charters Make District Schools Better! It’s almost the end of the summer and I realize that the professional development I have been in has been pretty fantastic, and pretty awful. I spent a good amount of time discussing about how we teachers can perfect our craft reaching at-risk students—a great goal. The difficulty is that defining an at-risk student can be hard. We talked a lot about “those in poverty, those with gender issues, those with disabilities, and diverse students who struggle to have a voice and be accepted.” This makes sense. 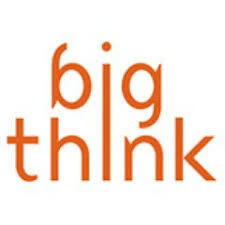 Yet not once this summer did I hear gifted and talented students mentioned as being at risk. Not once. On some level, I get it. It took me 19 years to fully understand that I had a gifted student in my own house that was at risk. But at 1:30 a.m., my son admitted he wanted to drop out of school. This article points our the significant and unique levels of support required to truly meet the needs of gifted Students…many that are easy to miss. The decline of the San Diego Unified School District (SDUSD) Gifted and Talented Education Program (GATE) has been one of the biggest examples,and tragedies, of the failure of the Supt. Cindy Marten administration. Being the parent of two GATE Students, we witnessed the decline of GATE under Marten first hand over the last 4 years. As typical with Marten and Trustees Barrera, Beiser, Evans, McQuary and Payne, GATE has suffered under lots of lies and phony promises and very little delivery. Just a few years ago, prior to the Marten regime, the SDUSD GATE program was vibrant and lauded nationally as a model for the brightest of students. The GATE program had a dedicated Manager, a staff and close to a $1 million budget to carry out a defined plan for all gifted students in every cluster. Now, in the Marten era, the SDUSD GATE program is a shell of what it used to be and an afterthought, with virtually no staff and no budget. 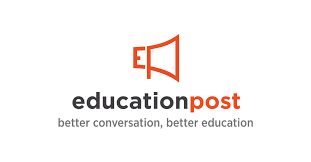 An amazing program in Milwaukee, Wisconsin, a city with far less marketing savvy than San Diego, and much less of a budget than SDUSD, that engages, inspires and educates parents, students and families in an innovative way. How refreshing to see a school district with not only the capacity to think outside of the box but also really collaborate with its Stakeholders. Attending college in Milwaukee, District Deeds saw many of the challenges described in the article and is proud of the outstanding effort by the educators and community in making this happen. Wouldn’t it be nice if we had that type of leadership, collaboration and trust with the SDUSD? “Few education policy battles have burned as hot as debate over the practice of requiring traditional public schools to share under-used space with charter schools. Co-location, as the practice is called, is often cited as damaging to students in mainline district schools. First of all we need to state that “the74” is a notoriously pro-charter, pro-education “reform” organization. We still felt the need to share their commentary on a Temple University study that many of our readers may not have reviewed. There has been a lot of complaints by school sites in the SDUSD about co-location of a Charter School on district campuses. There has also been claims of Charter Schools “dumping” difficult students back on SDUSD schools. This article debunks those claims and, although it is about New York City, many of the “7 Reasons” are being borne out of the rapid exodus of SDUSD Students to Charters because of the continued mismanagement and blunders of the Marten Administration. From our perspective, it is obvious that Marten and her “White Woman Mafia” have decided to step up their game since Charters have been taking thousands of Students and Families away every year. “Marketing” of schools has become a standard SDUSD propaganda catch phrase with rookie Principals and only amateurish “bait and switch” tactics to show for it. The ironic part of the “7 Reasons” is that IF this study is accurate, the SDUSD under Marten is actually BENEFITTING by the co-location and the rapid growth in Charter enrollment! Marten and her “White Woman Mafia” must be pleased.